We present a new method to estimate derivatives of digitized functions. Even with noisy data, this approach is convergent and can be computed by using only the arithmetic operations. Moreover, higher order derivatives can also be estimated. 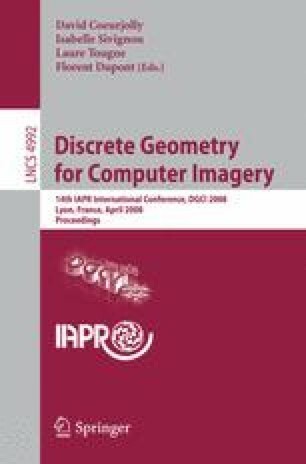 To deal with parametrized curves, we introduce a new notion which solves the problem of correspondence between the parametrization of a continuous curve and the pixels numbering of a discrete object.